Home > Posts > Petition: Fund Classrooms, Not Boardrooms! Petition: Fund Classrooms, Not Boardrooms! 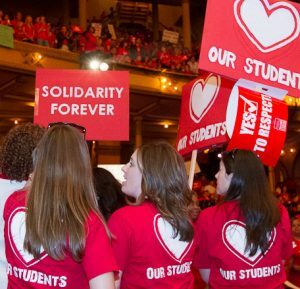 Charter school operators must put our students first! Chicago International Charter Schools (CICS) operates 14 schools funded by CPS. CICS has received increased taxpayer funding, but not enough of that money makes it to the classroom. CICS has a surplus of approximately $36 million. They are spending money on growing numbers of highly paid executives and subsidiary corporations, but the schools remain short staffed and programs face cuts. 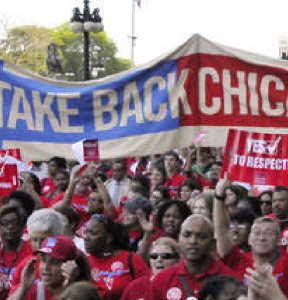 Now CICS teachers, paraprofessionals and staff might be forced to strike to prevent class size increases; protect counseling and special education services; and secure equal pay for equal work. We request that the relevant committees in the Illinois General Assembly hold a subject matter hearing on organizational and economic misconduct by Illinois charter school networks. The hearing should take place in Chicago before the 2019 session spring recess.